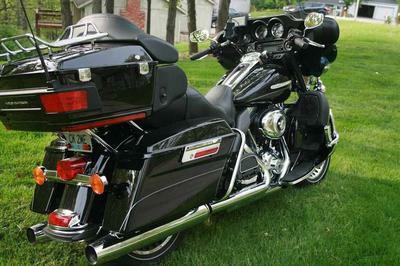 The 2012 custom Harley Davidson Touring Motorcycle for sale has just 2500 miles on it. 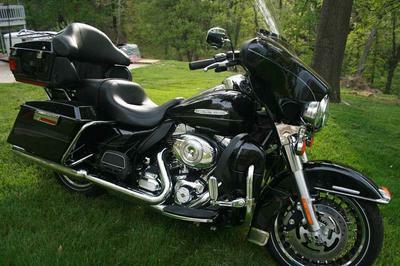 I bought this motorcycle brand new at Worth Harley Davidson in Kansas City North and it hasn't been used very much as indicated by the low, low mileage since I own a small business and just don't get time to ride. This tourer is flawless with not so much as a scratch on it. 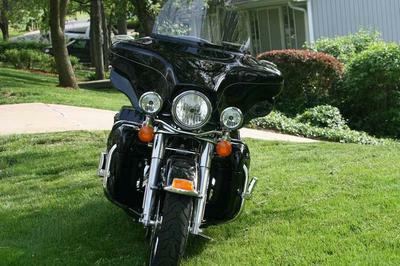 When I bought the HD touring motorcycle I had the dealership add a faring mounted Harley Davidson brand GPS, an XM RADIO, an MP3 PLAYER as well as install the lower mounted road pegs. If you have any questions regarding the tourer's features or if you would like to make an appointment to see it in person you can contact me using the space below that has been provided by GoGoCycles Used Motorcycles for Sale . 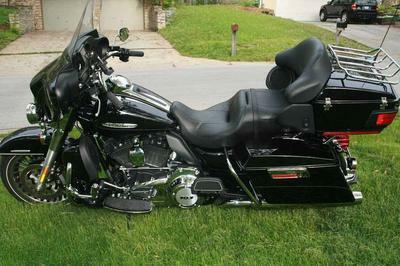 The Custom Harley Davidson Touring Motorcycle for Sale is in Kansas City MO Missouri USA 64108. The price I have on it is a very good price and it probably will be gone fast since it is so early in the season so email before it's gone .